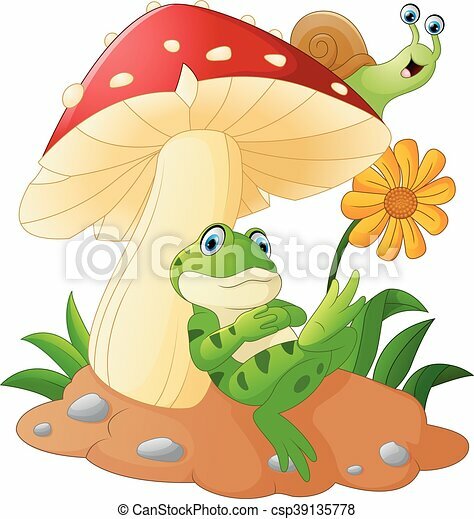 Vector of illustration cute frog and snail cartoon with mushrooms. 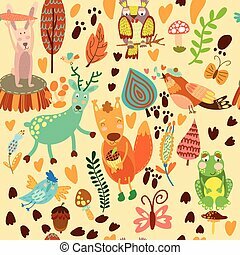 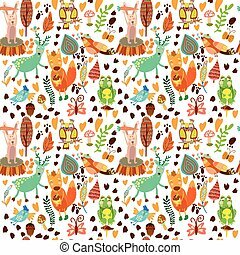 Cute seamless pattern with forest animals.Owl,squirre l, deer, nightingale, frog,rabbit. 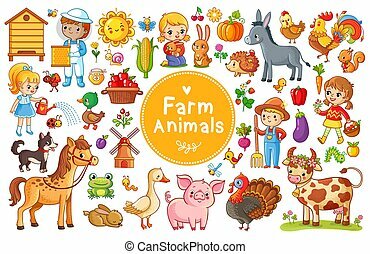 Set with farm animals. 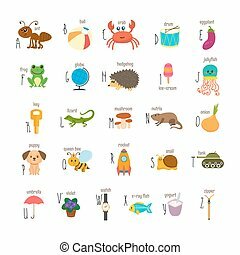 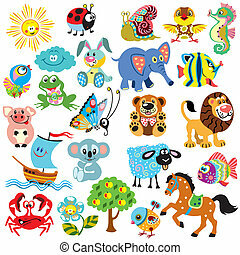 Vector collection in a cartoon children's style. 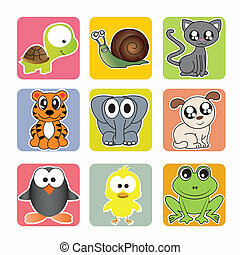 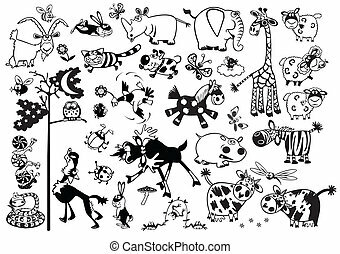 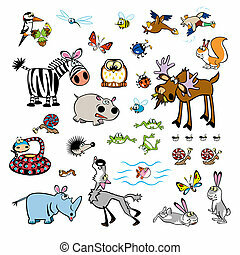 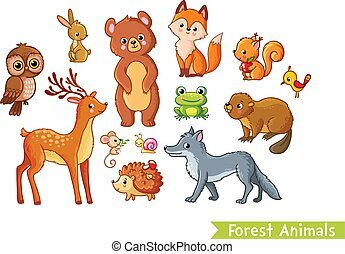 Vector set with forest animals on a white background. 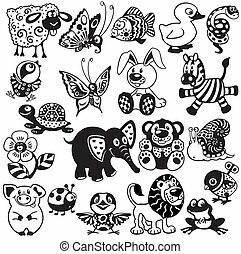 Mild animals in the children's cartoon style.